As consumers become more proactive in selecting products, they can find themselves reading food labels that are sometimes misleading. One thing consumers tend to look for are the terms “organic” and “non-GMO”. Basically, “Organic” and “Non-GMO” seals provide assurance of quality to consumers. However, there are significant differences between the two. Farmed and produced under the strict guidelines set by the Department of Agriculture, organic food items are manufactured without the use of any genetically engineered products. Basically, the use of synthetic pesticides and other chemicals is not permitted in the farming and cultivation of organic crops. Organic farmers are also prohibited from the use of sewage sludge-based or petroleum-based fertilizers. Similarly, organic livestock is raised free from antibiotics, animal by-products, growth hormones and other synthetic chemicals. Manufactured under strict guidelines and parameters, organic food items are labelled with the “USDA Organic” seal. Non-GMO products, on the other hand, are tested and verified by the Non-GMO Project. As the term implies, genetically modified materials were not used in the manufacturing of non-GMO products. Ingredients added to the food product are screened and tested to rule out the presence of GMOs in the entire supply chain. 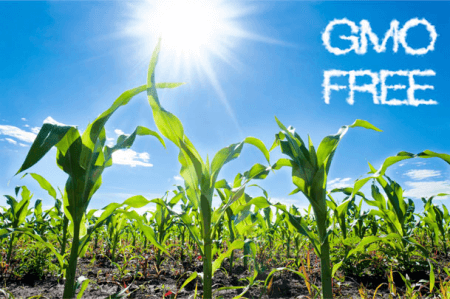 In addition to screening their ingredients, manufacturers of non-GMO food products need to comply with the standards set by the Non-GMO Project. Their products are subject to annual verification and inspections before they receive a non-GMO label. So what’s the difference between organic and non-GMO products? Contrary to popular belief, these food products do not provide the same level of safety to consumers, as they vary greatly in a number of ways. Firstly, organic products are regulated by the US Department of Agriculture (USDA). The products are meticulously screened and tested from the initial to the final phases of production. Meanwhile, non-GMO products are verified by the Non-GMO Project, a non-profit group that tests for the presence of genetically modified ingredients during the final stage of food production. 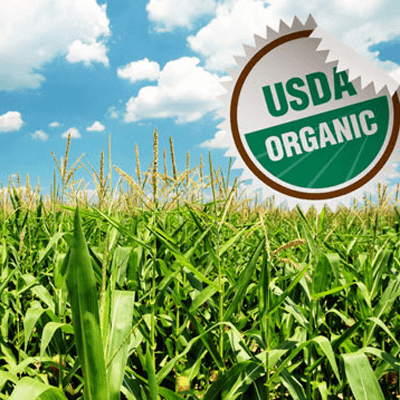 Since organic products need to comply with the strict guidelines set by the USDA, genetically modified materials, along with synthetic chemicals, pesticides and other toxic residues, are prohibited in the farming of organic crops. The cultivation of non-GMO seeds and crops, on the other hand, is not regulated by the Non-GMO Project. Because conventional farming methods may also be used in the production of non-GMO goods, there is no guarantee that the crops used for these food items are farmed free from synthetic pesticides and sewage sludge-based fertilizers. According to studies, synthetic pesticides are linked with debilitating diseases such as leukemia and lymphoma. In addition, livestock from an organic farm are fed with organic feeds. They are raised free from antibiotics, animal by-products, growth hormones and other synthetic chemicals. Meat found in non-GMO food products, by contrast, may be raised on steroids and growth-promoting drugs, which can increase one’s susceptibility to cardiovascular diseases and diabetes. Lastly, organic products are also non-GMO products. However, since organic food items are screened and tested not only for GMOs but for other chemicals as well, they are much safer and healthier than non-GMO products.